Commissioned by Genesis Energy, New Zealand’s first commercial wind farm opened in the windy hills of Wairarapa. Named Hau Nui Farm, meaning Big Wind, this location was wisely chosen due to the ideal wind currents that are funnelled and accelerated from nearby Cook Strait and the Remutaka Range. Stage one of the project was constructed at the northern end of Range Rd and saw the installation of seven E-40 wind turbines, a third generation wind-energy technology. Each turbine has three 20-m blades, making the overall height of each turbine an impressive 46 m. This allows each turbine to generate electricity in wind speeds anywhere between 10 and 120 km per hour. When the wind exceeds 120 km/hr, the turbines automatically shut down to avoid damage. 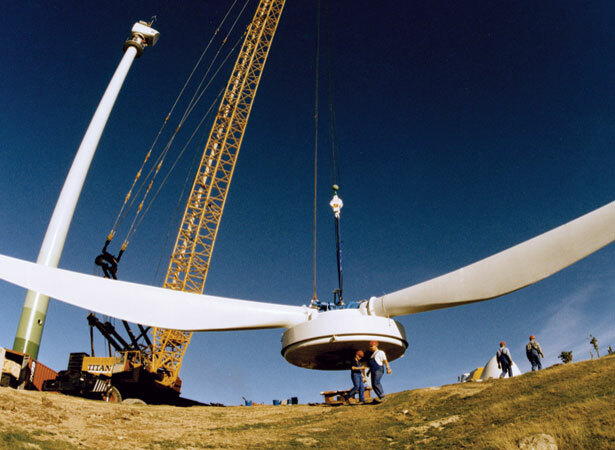 Eight more turbines were installed in stage two of the project, which was completed in December 2004. With 15 turbines, the farm produces enough energy to power 4200 homes.